It Aims at being Productive & being the Best Way for Viral Marketing! -Cost Effectiveness this is one of the Most Cost Effective way to Market Products for Merchants. 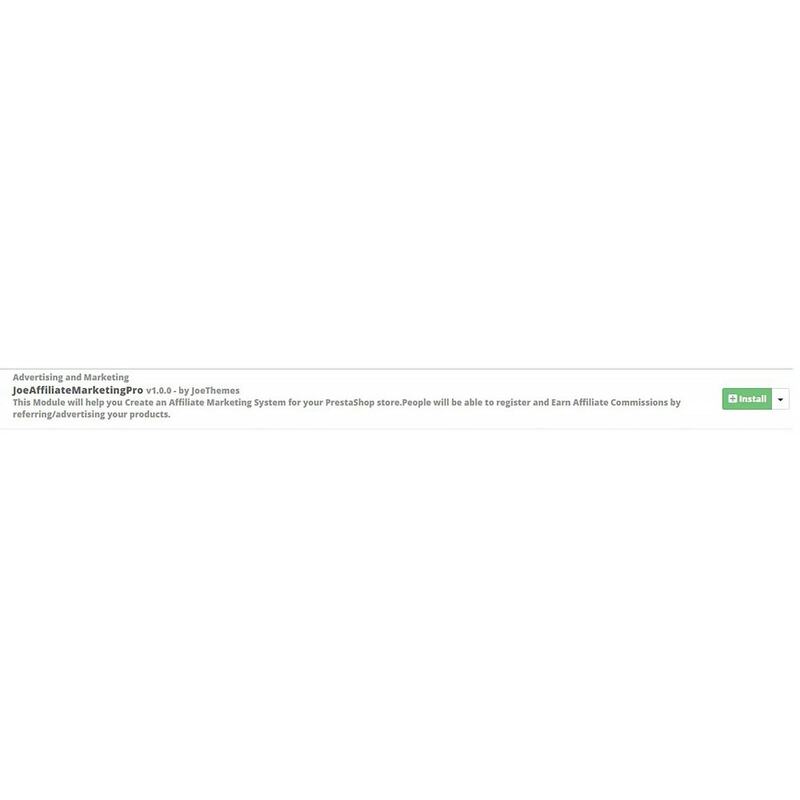 -Store Admin has Control to Enable and Disable Affiliate Customers from the Store Back End. Choose the language you want to translate the module into. The destination language must already be installed to enable translation in it.Click the "Modify" button.The page that loads displays all the strings for all the currently-installed modules. Modules that have all their strings already translated have their fieldset closed, whereas if at least one string is missing in a module's translation, its fieldset is expanded.In order to translate your module's strings (the ones that were "marked" using the l() method), simply find your module in the list (use the browser's in-page search), and fill the empty fields.Once all strings for your module are correctly translated, click on either the "Save and stay" button or the "Save" button at the bottom of your list of strings. *INCREASE SALES This module will help you obtain More Sales for your store in a cost effective manner since it will help you market your products without you having to put much effort. Let your customers market your product for you. *INCREASE CUSTOMERS Since it Encourages users to market your product it your store will be marketed by your customers on their external websites along with Social platforms like Facebook,Twitter and Instagram. Module Can Enable users display a Dynamic Product Grid on his own website it’s a one of the best features of this module. This technique is better than traditional image banners. *BEST WAY TO MARKET PRODUCTS Such a Superb module will surely help Store Owners to Achieve More Sales! This technique should prove to be The Best way to Market PrestaShop Online Products! *Supports PrestaShop Multistore Every Store will have its own Affiliate Customers and its own module settings. *NO PRESTASHOP CORE CLASS OVERRIDES Since there are no Overrides at all as recommended by PrestaShop,there is a Very low chance or no chance of this module to conflict with other Modules. *EXCELLENT DESIGN LOOK AND FEEL Gives a really good first impression. This module has an Incredible design! People often judge a book by its cover. *EASY TO USE The module is Very Easy to use and Configure even for multi-store environment. *RESPONSIVE this module config area and affiliate dashboard is responsive and has an excellent design! WHERE DO I CHANGE ORDER STATUS? You will be able to change order status for the affiliate Referrals after you click on the View Full button associated for the Affiliate Partner. 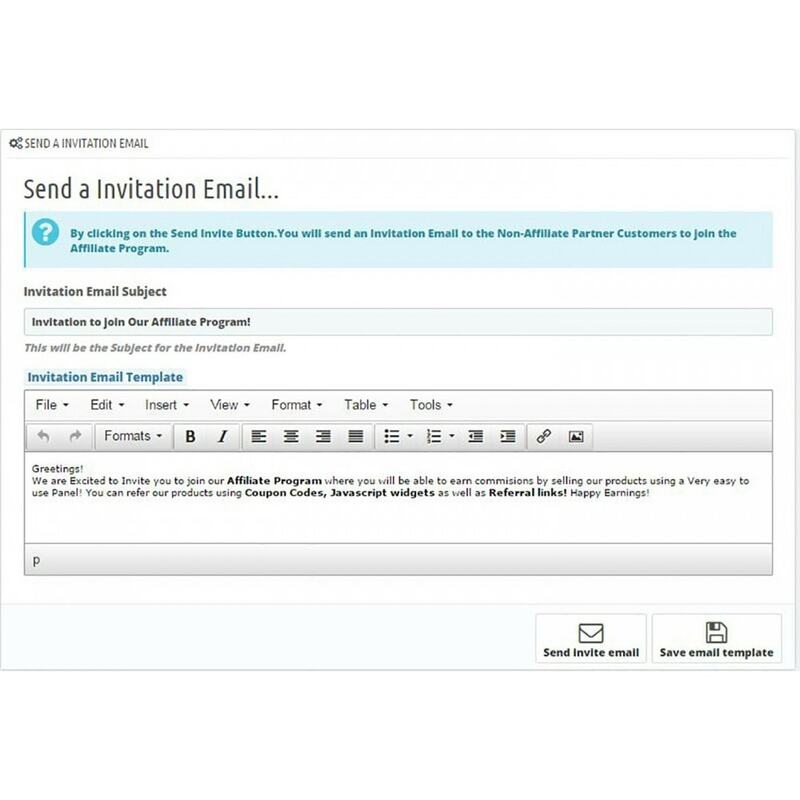 -HOW DOES ADMIN SEND AN INVITE EMAIL TO AFFILIATE PARTNERS? 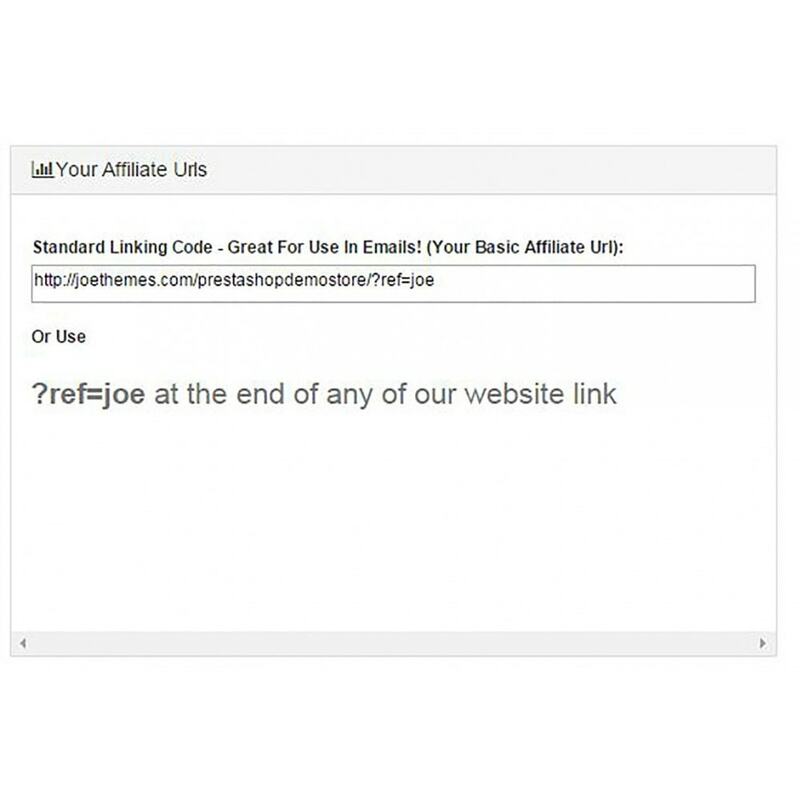 You will be able to send an Email to all the Customers who have not signed up for the Affiliate program to sign up.The Content of the Email Can be Edited.You will be able to send email using the "Send Invite Button" in the joeaffiliatemarketingpro config section. -HOW DOES ADMIN VIEW / MANAGE AFFILIATE PARTNERS? You Can view the Affiliate Partners,Send them Emails Individually,Approve their Commissions,Change their Affiliate Group,Change their Affiliate Order Details,View their Details and do many other useful things by clicking on the "View Full" button provided the right hand side...There are options to change Affiliate Order Statuses to Paid,Approved and not paid or Pending Approval.Affiliate Customers are notified on email about if their order statuses are changed. 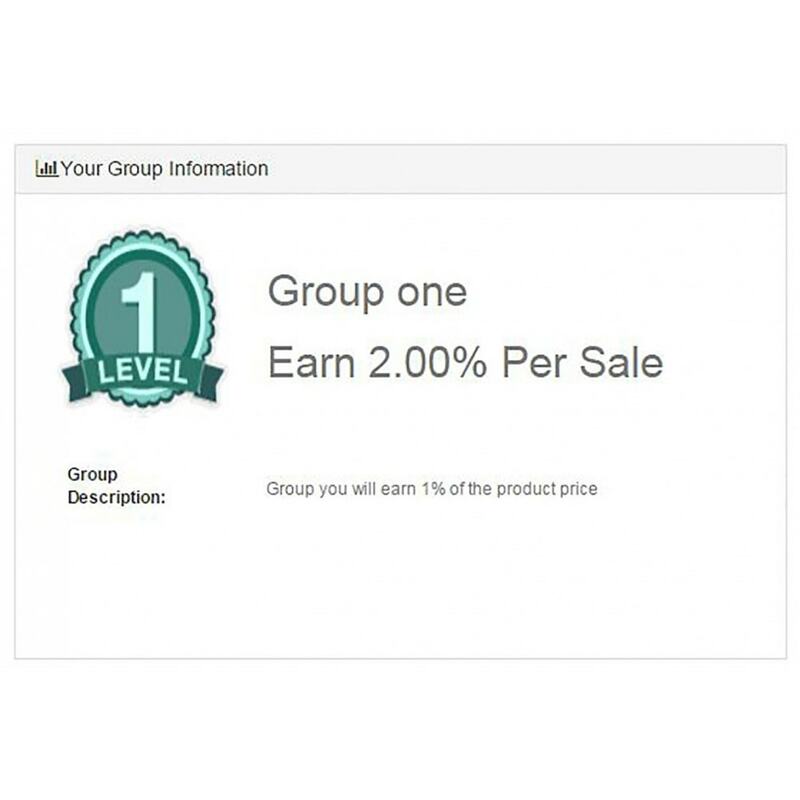 Admin has the other options like to change the Affiliate Group and set it to a Custom Group. 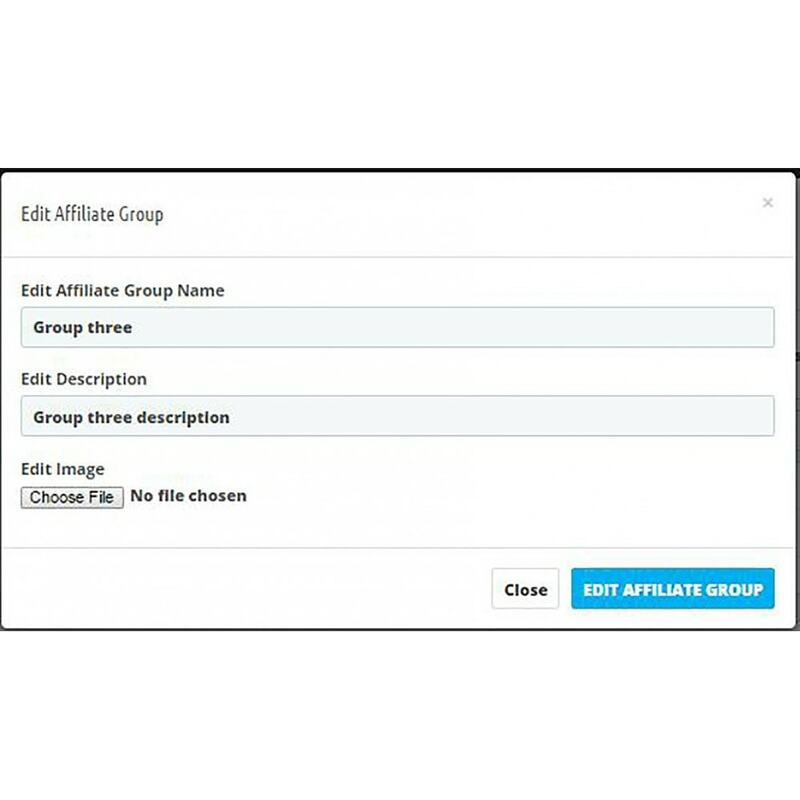 -HOW DOES ADMIN MANAGE THE AFFILIATE GROUPS? 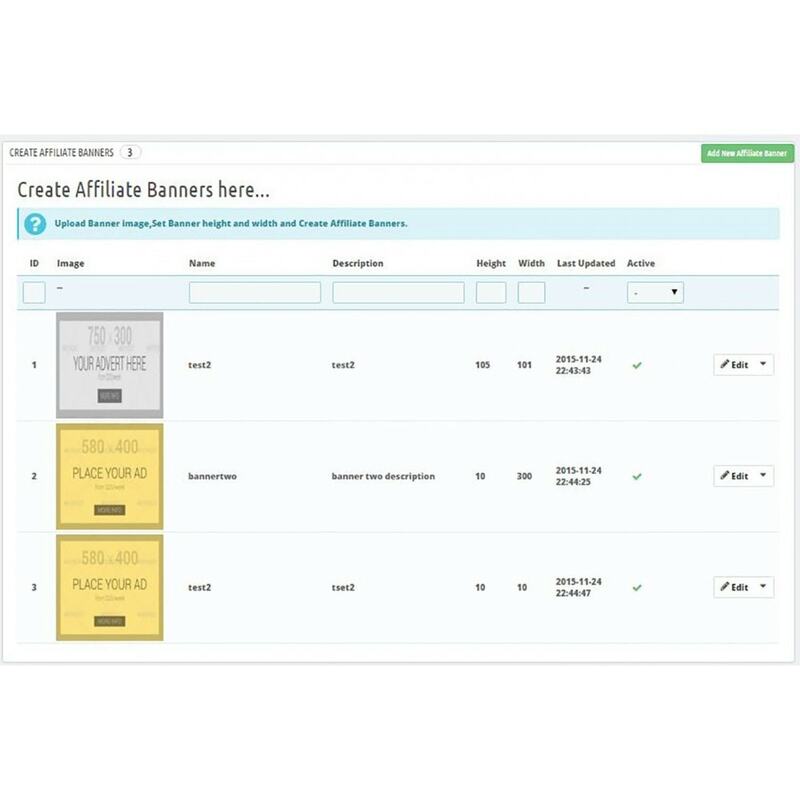 -HOW DOES ADMIN CREATE AFFILIATE BANNERS? 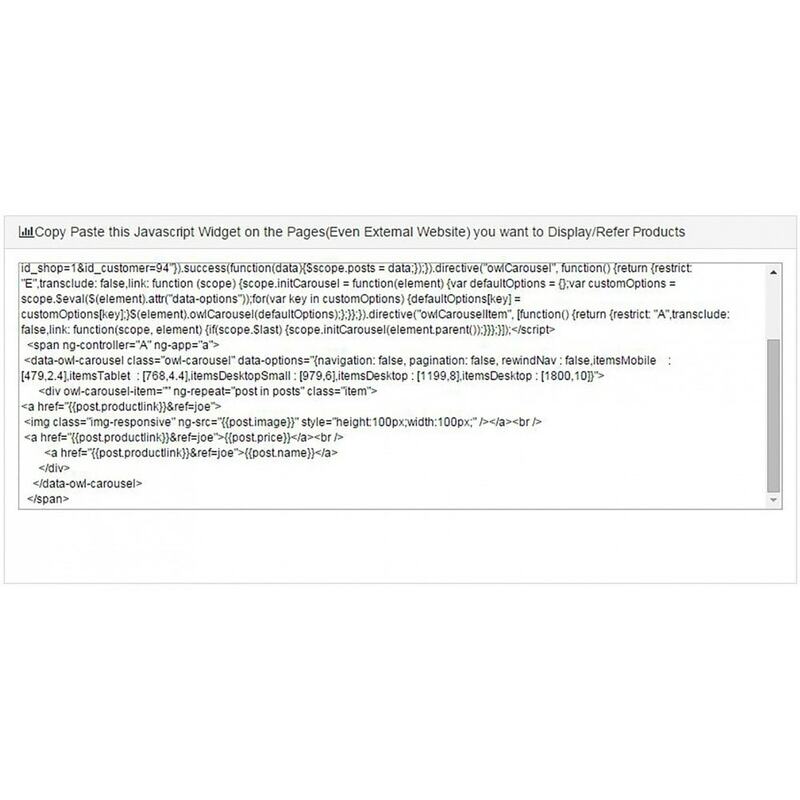 You will be able to Create Banners from the module config,with its image height and width.Affiliates can then use this banners on their website to Refer your Products. 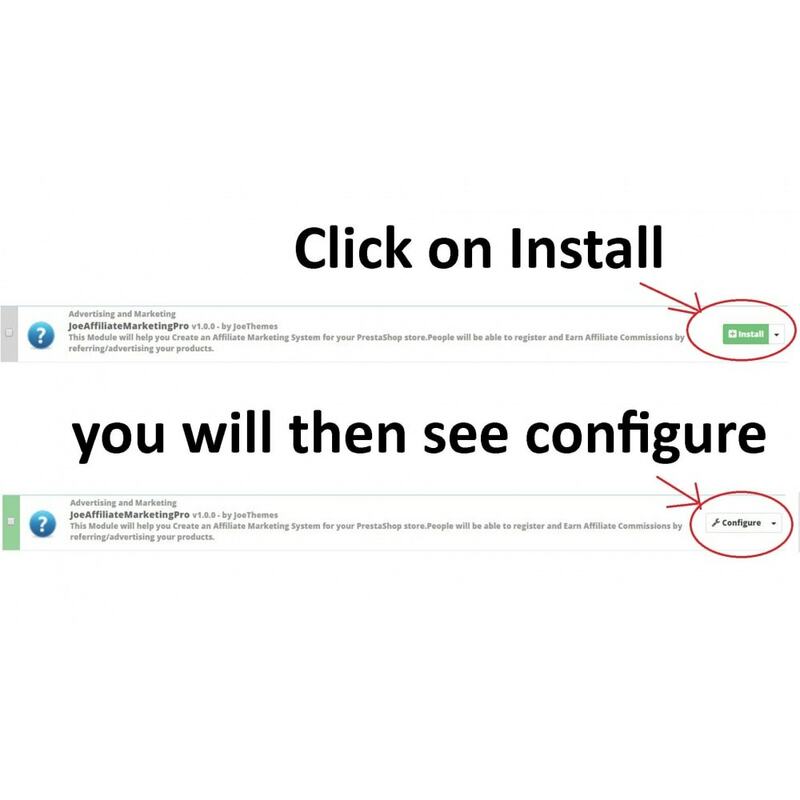 The Process is simply too Easy ...Just click the plus icon on the right side and then you will get a form to add a banner,you will then need to select a suitable banner image and then you will need to set the banner height and its width dimensions. 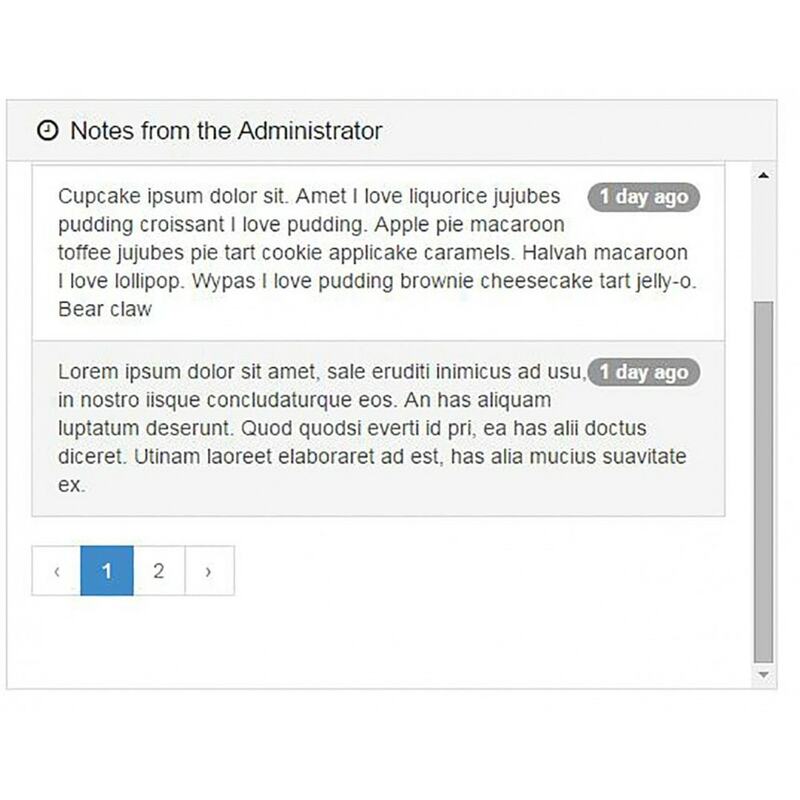 -HOW DOES ADMIN CREATE ADMIN NOTES & HOW ARE THEY USEFUL? 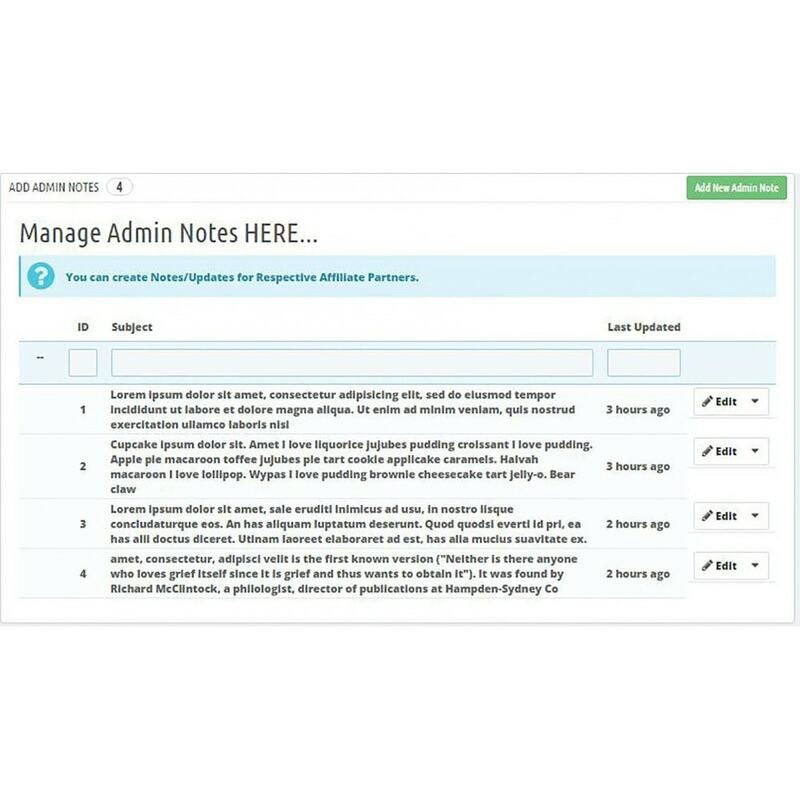 You may Create Admin Notes so that Affiliate Partners may see it on their Dashboard.You may post important Updates so that All the Affiliate Partners are notified.The Admin notes are also useful to tell customers about new,welcoming messages and more. 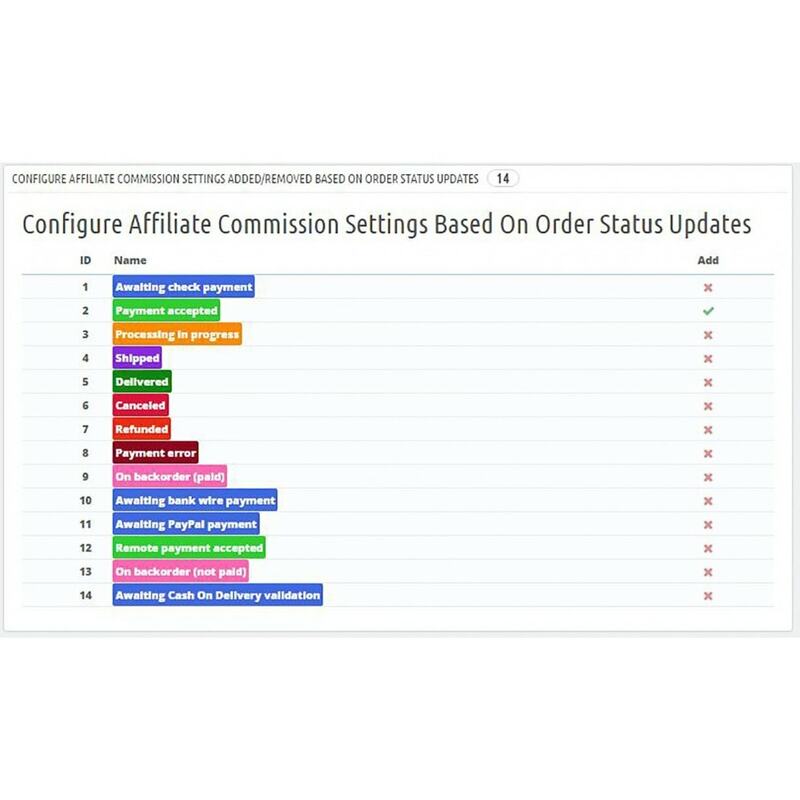 -HOW DOES ADMIN CONFIGURE AFFILIATE COMMISSION SETTINGS BASED ON ORDER STATUS UPDATES? You may Configure the Order status settings So that the Affiliates may receive their order commissions based on these order update.Pending Approval is checked by Default. 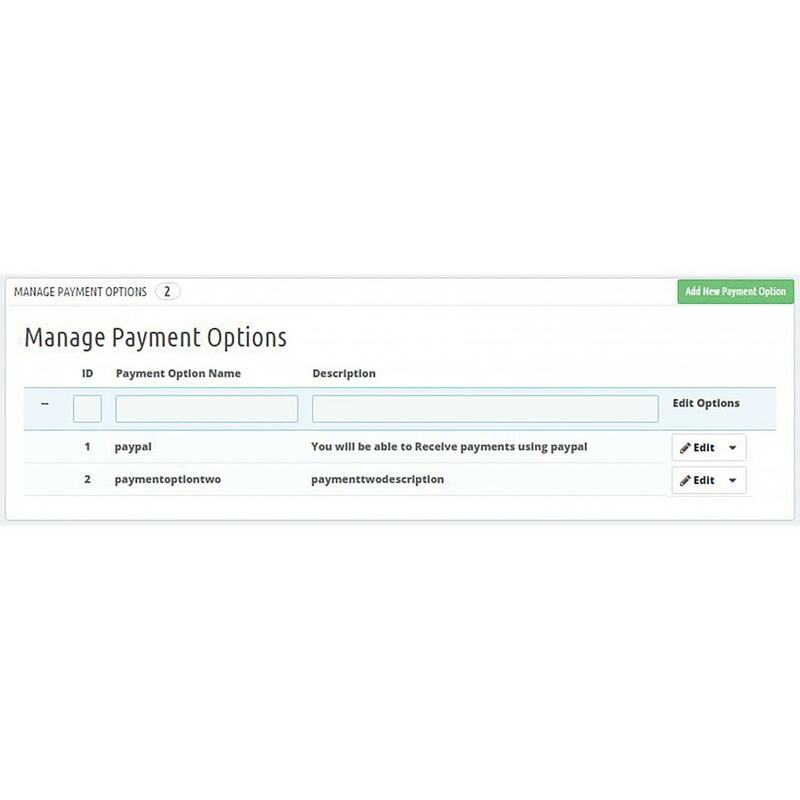 -HOW DOES ADMIN MANAGE PAYMENT OPTIONS? You may add,delete or edit payment options.Admin may add how many ever payment options there is no restrictions.Once payment details are deleted, Affiliate partner payment information will too be deleted. 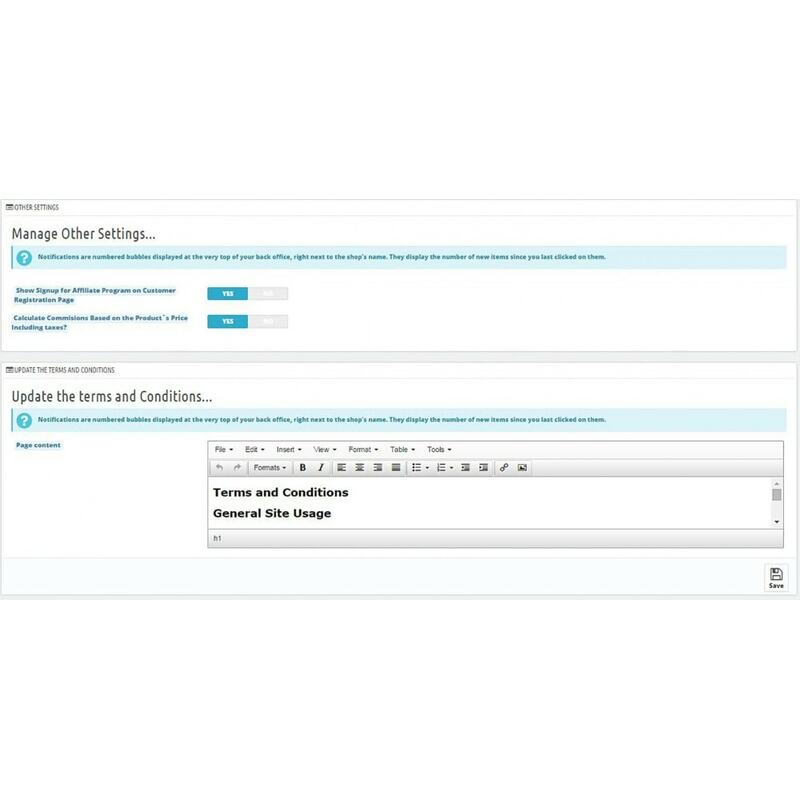 -HOW DOES ADMIN MANAGE OTHER SETTINGS AND TERMS & CONDITIONS? 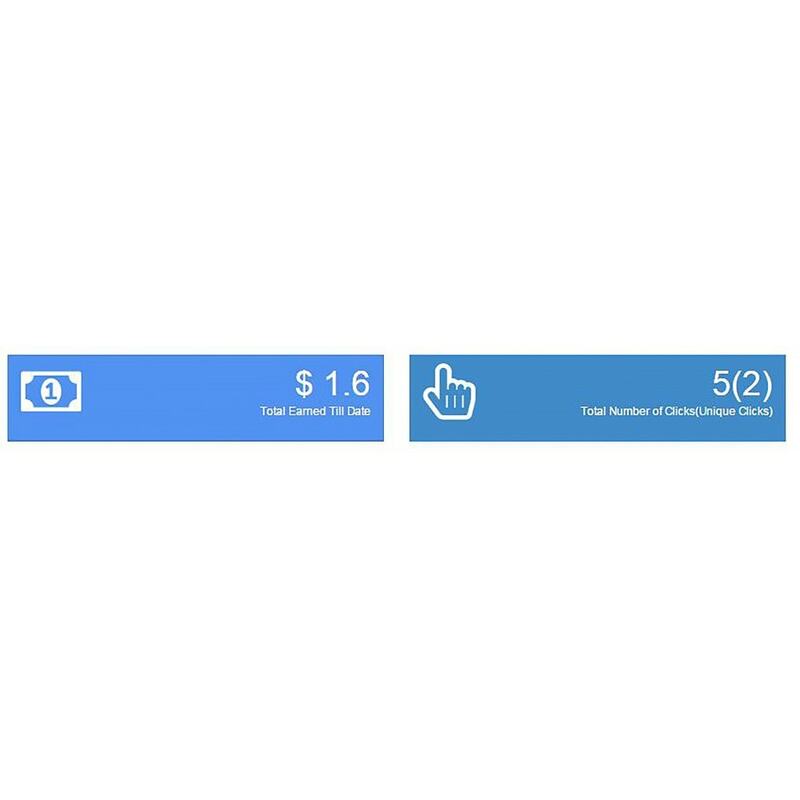 There are some other settings like to show signup and Calculate Commissions based on taxes which are self explanatory.In the bottom you will need to update Terms and Conditions as per your needs. 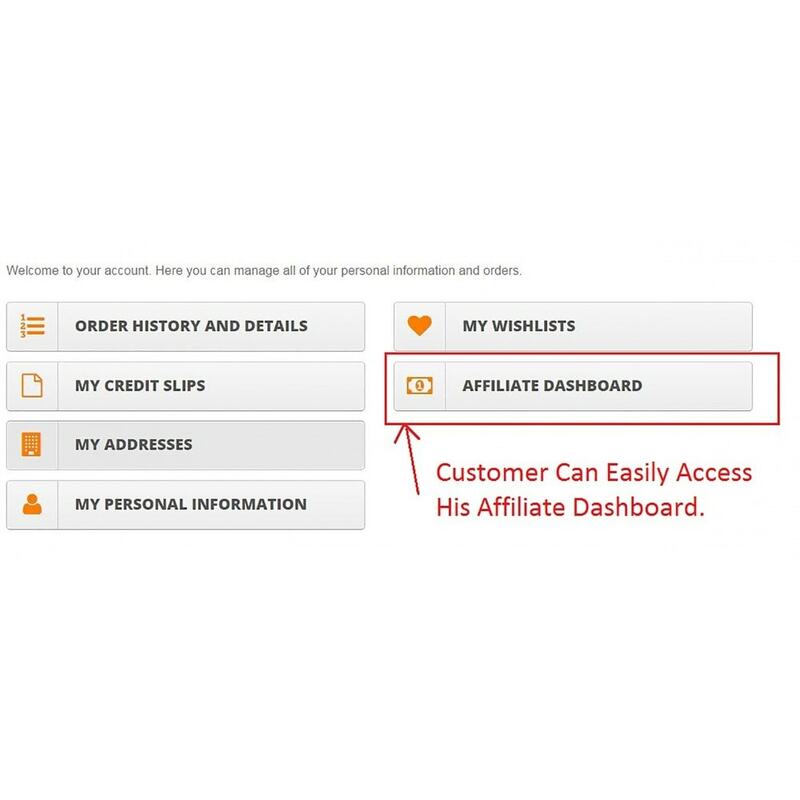 -WHAT IS THE AFFILIATE DASHBOARD FOR CUSTOMERS? The Affiliate Dashboard is where the customer can see most of his affiliate details.On the Affiliate Dashboard there is featured with this image.Which is very user friendly and customers will find it welcoming too! The Affiliate Customer can see his details like his standard referring URL,order details, his coupons,graphs he can also update his payment details and many other things. -WHAT IS SOME INFO ABOUT THE PROGRAM BLOCK? 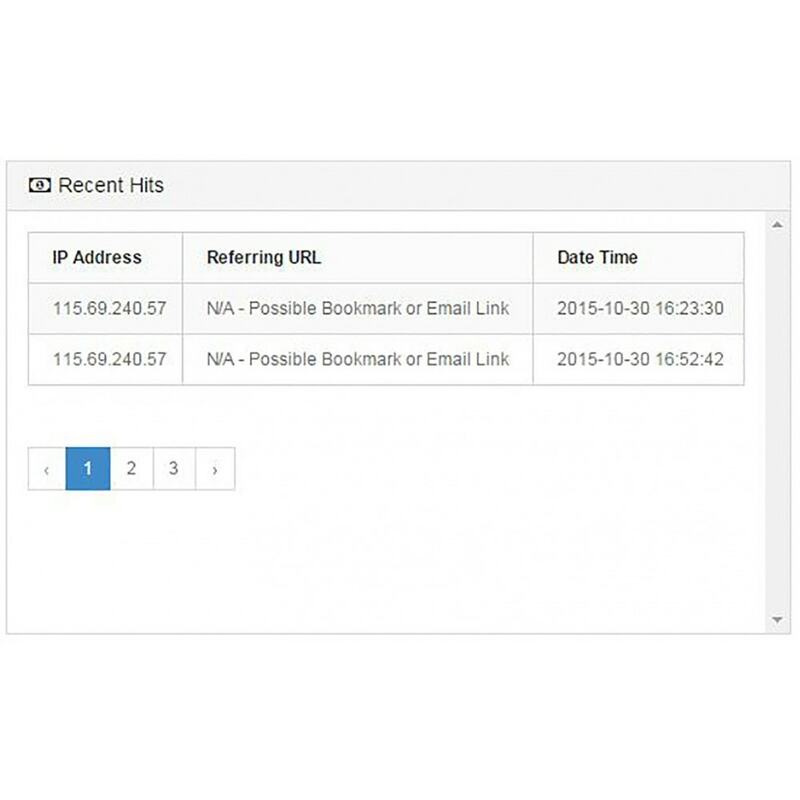 Answer:The information provided on this block shows details of all the admin Groups created on the admin back office..
-HOW DOES CUSTOMER ACCESS HIS DASHBOARD? Answer:Just After the Customer Logs in Into his Account he can easily navigate to his Dashboard. -HOW WILL CUSTOMERS VIEW GROUP INFORMATION? 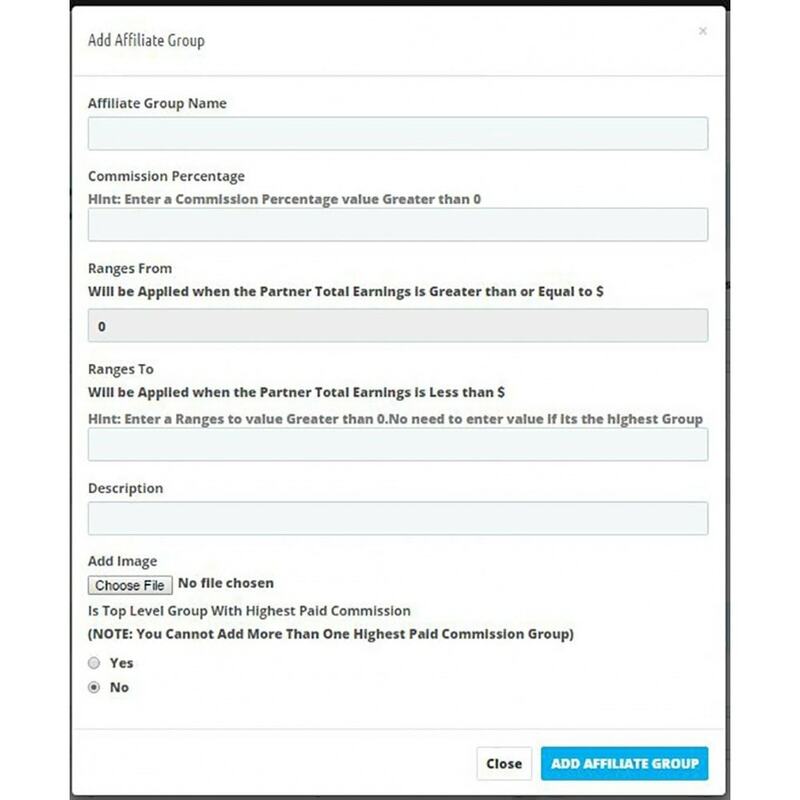 Answer:Customer can systematically see in which Group he is and how much is his potential earning.There is a Dynamic list Generated where he can see all the list of affiliate Groups Available. -HOW WILL CUSTOMERS MANAGE AFFILIATE COUPONS? 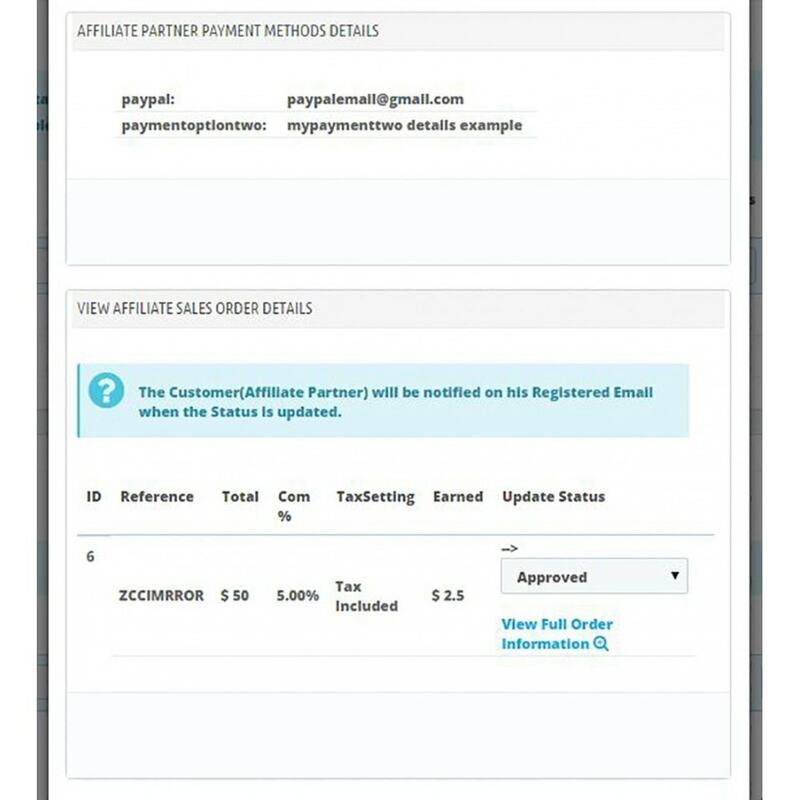 Answer:Customer can see the coupons and their Respective status as in they are approved or not and even their expiration date on his affiliate dashboard. -WHAT ARE CUSTOMER INFORMATION BLOCKS? 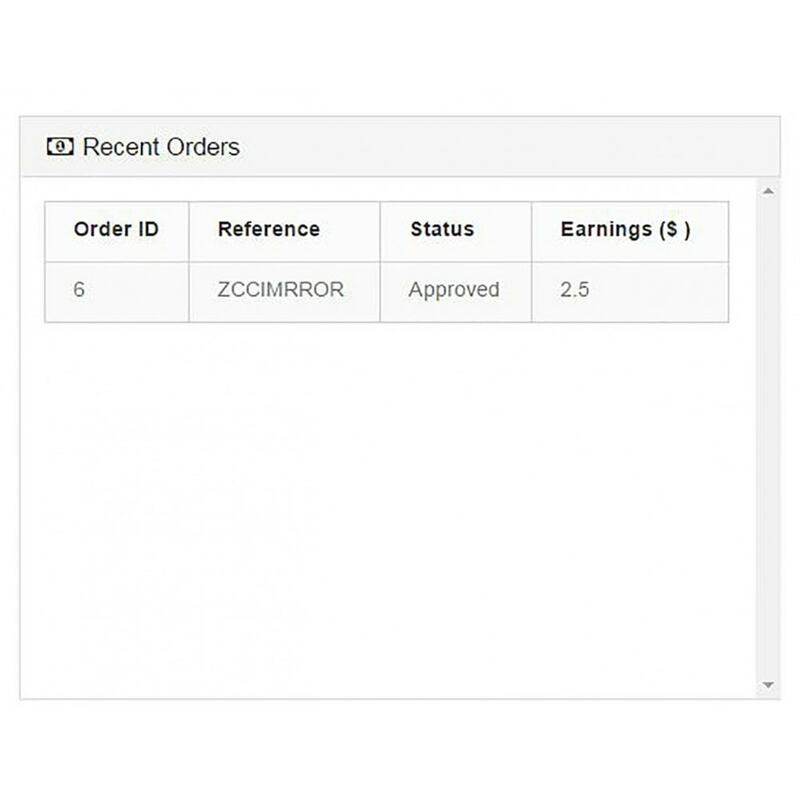 Answer:Customer will be able to see his/her total clicks ,Unique clicks,Total Earnings,Total Approved Commissions,Commissions Pending For Approval on the information blocks on his Affiliate Dashboard. 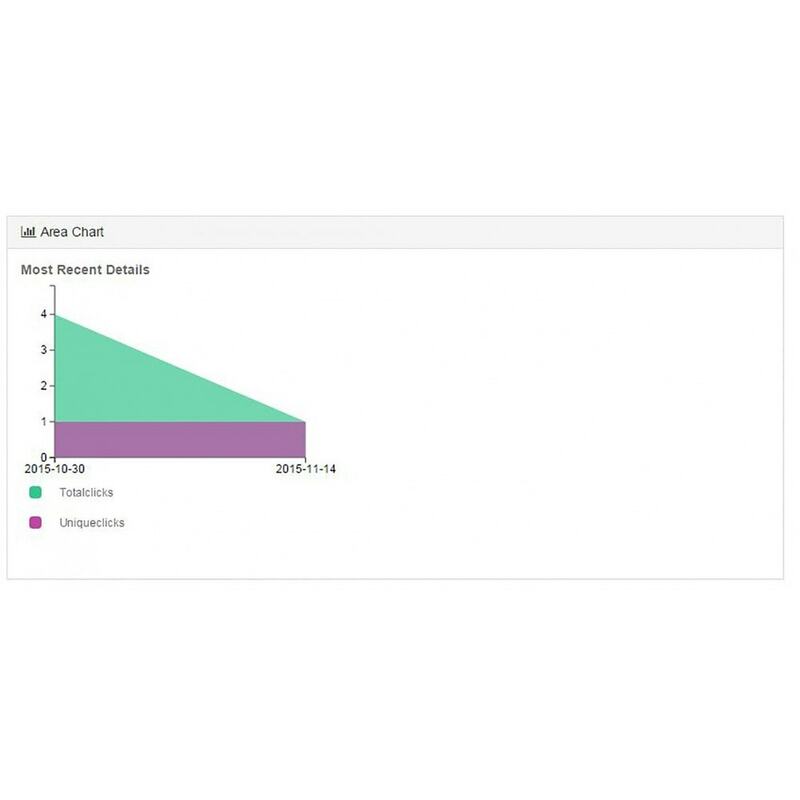 -WHY THE AREA CHART FOR CUSTOMERS? Answer:Charts are useful because it gives affiliates a graphical representation of the click through rates.Affiliate gets an Idea of the Entire picture based on Recent Hits. -WHAT IS THE JAVA SCRIPT WIDGET? -HOW DO CUSTOMERS VIEW RECENT HITS? 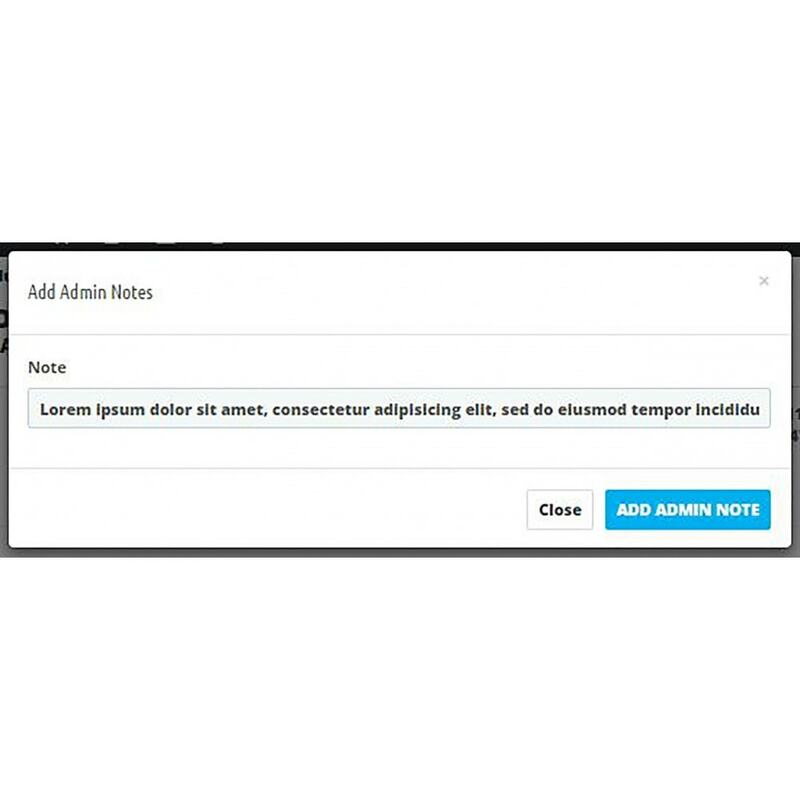 -WHY NOTES FROM THE ADMINISTRATOR ARE SO USEFUL? Answer:Notes are important as it will inform customers about important updates.These updates can be easily added by store Admin. Store admin wants to inform his customers about the change in Commission rates. -How Does Customer Start Referring? Answer:Customer Will need to Set his Custom Referring URL So that he will can start Referring.He can use any Techniques to refer your products like Market Products on Facebook,Twitter,Instagram and other such Social platforms or his own website. -HOW TO CREATE POWERFUL AFFILIATE LINKS TARGETING PRODUCTS? Answer:Customer Will need to Set his Custom Referring URL So that he will can start Referring. 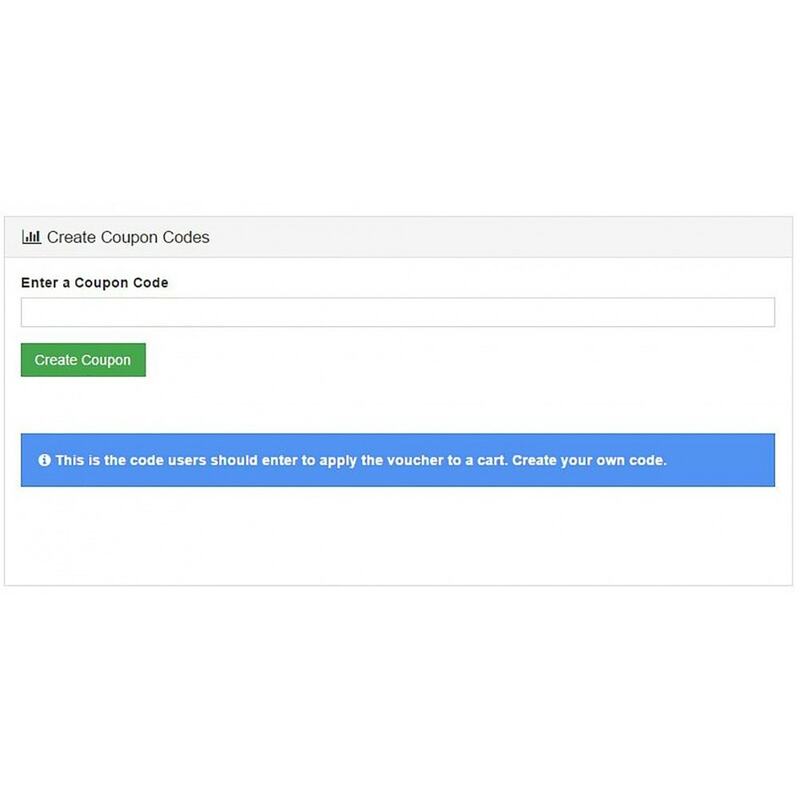 -HOW DO CUSTOMERS CREATE COUPON CODES? Answer:Customer Will need to Set his Custom Coupons So that he will can start Referring for offline Referrals.He can Create codes from his affiliate dashboard he will be able to use code once code is approved.Approval settings for coupon codes are available for the Admin. 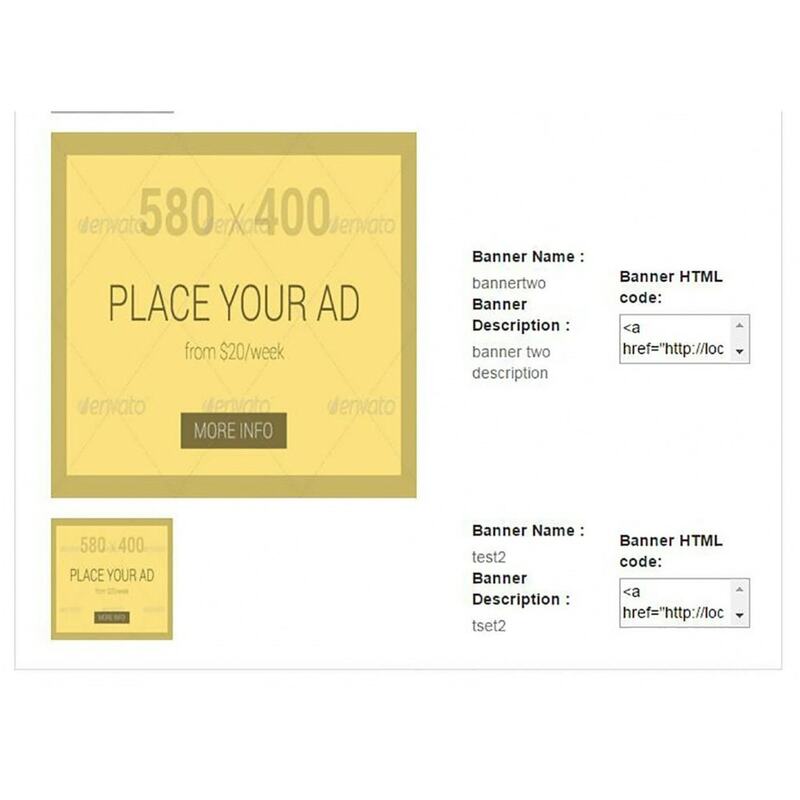 -HOW DO CUSTOMERS USE AFFILIATE BANNERS? 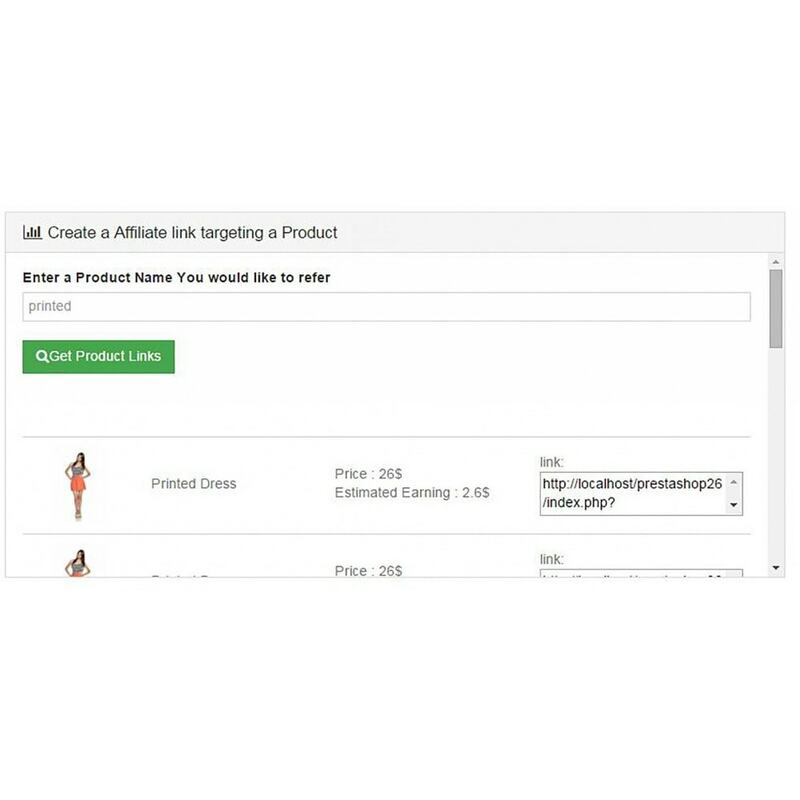 Answer:Customer may Refer using affiliate Banners.He just needs to copy paste html code from the affiliate dashboard under the banners section for the respective banner ,he will need to paste this code to his blog or website. 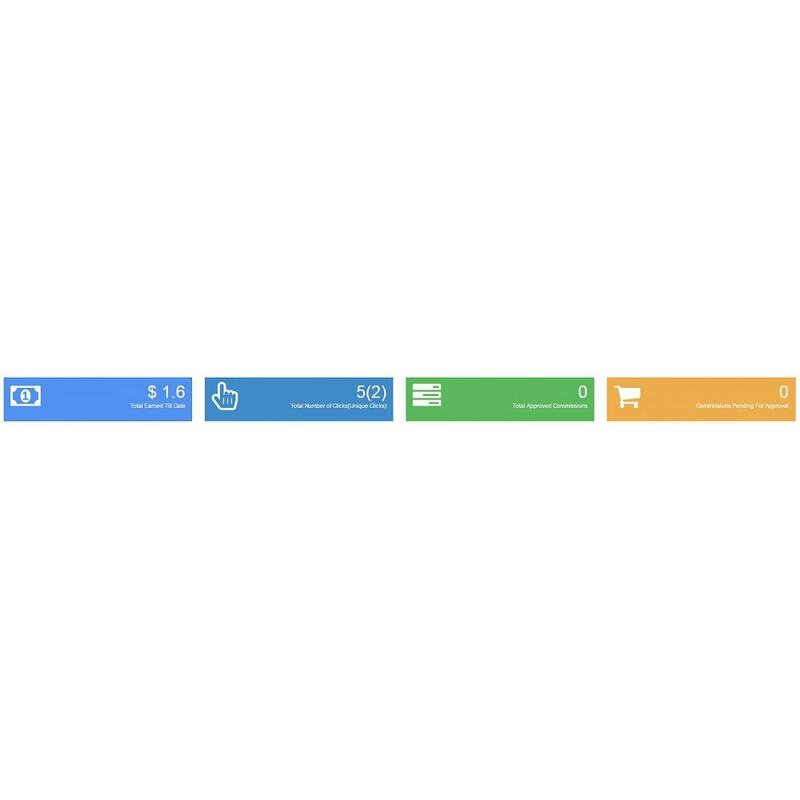 -GIVE ME SOME INFO NAVIGATION MENU? 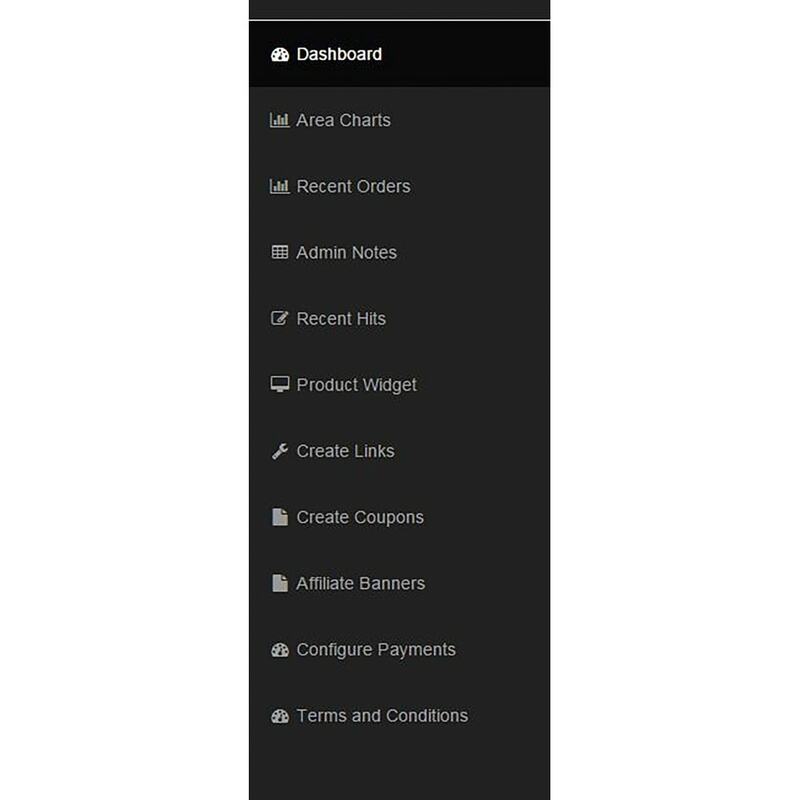 Answer:The Navigation Menu is Available to Customers on the Affiliate dashboard section.Its main purpose is to let customers navigate easily to the module. *Customer can also Earn commissions by referring store products on customers own website using a Image banners provided by store owners! *Even If Customer doesn’t have a website he may Market Products on Facebook,Twitter,Instagram and other such Social platforms. *Customer Can Easily Add his Payment details and thus Receive his Earnings more Conveniently. 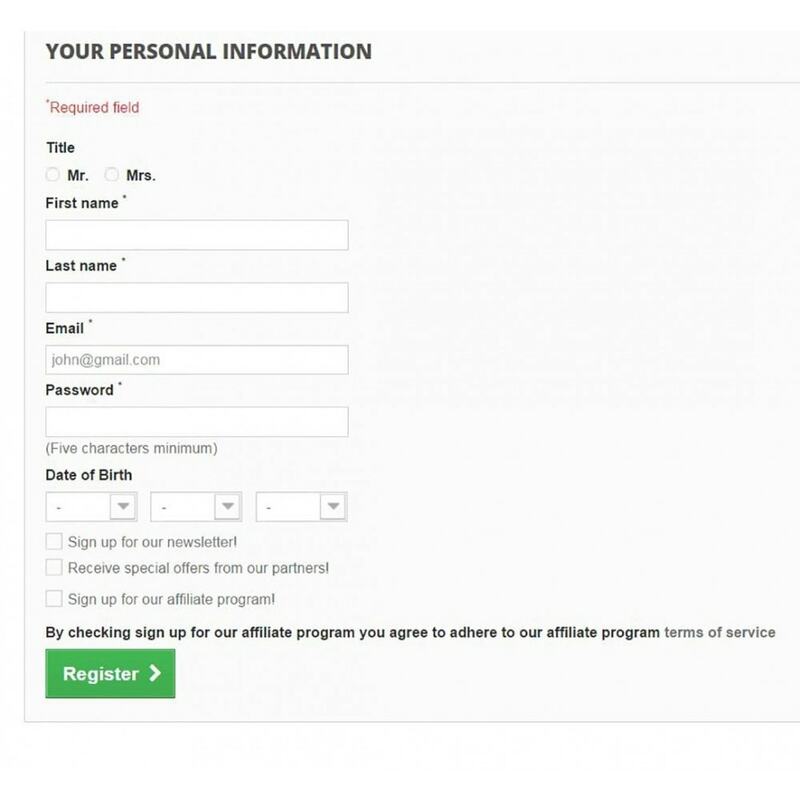 *Customers automatically receive emails from stores about their Commission being approved. 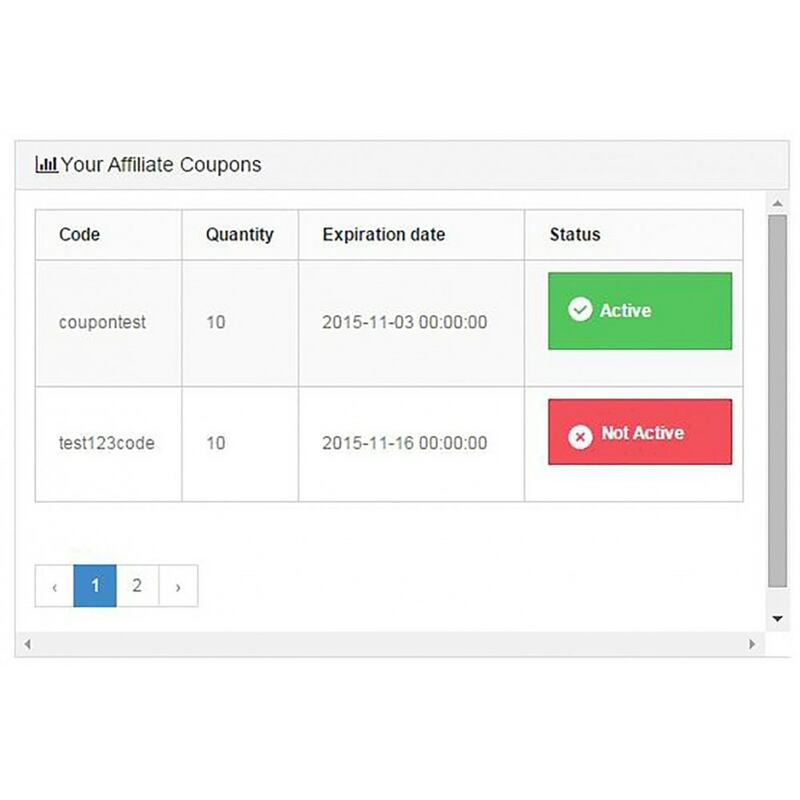 *Customer Can Create Coupon Codes on the in the Affiliate Dashboard. *Customers have Really simple options to Opt in/Access for the Affiliate program. He will see it just after logging in his Customer Dashboard. *Customer Can has access to a dynamic Graph that will show him his performance in his Affiliate dashboard. *Customer can see if his created Coupon Codes are Approved or Not Approved. 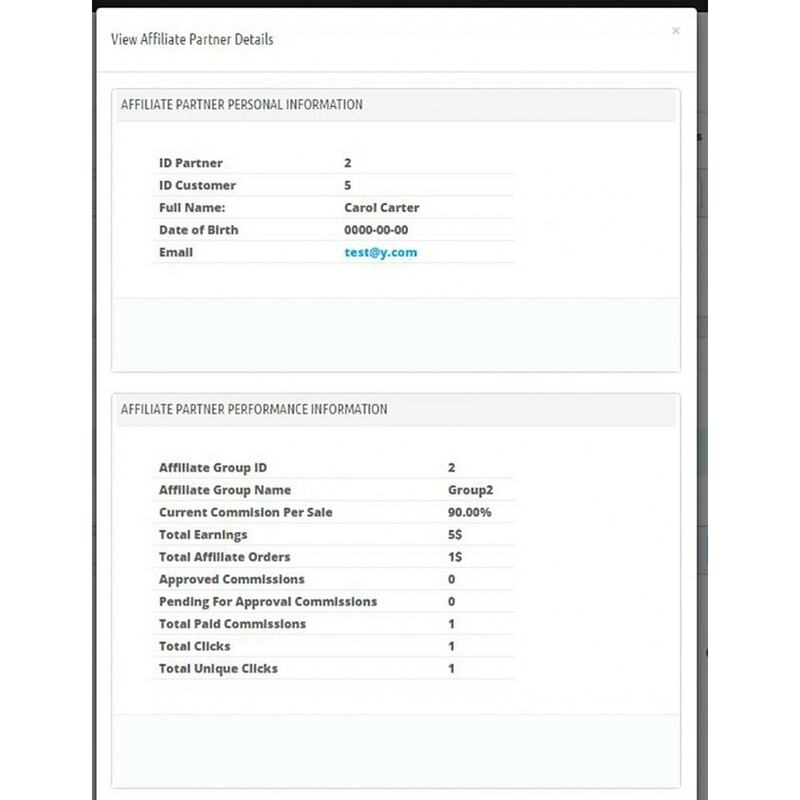 *Customer can see if his Affiliate Referrals list in the affiliate Dashboard and their status if they are approved & paid or approved & not paid or not approved. 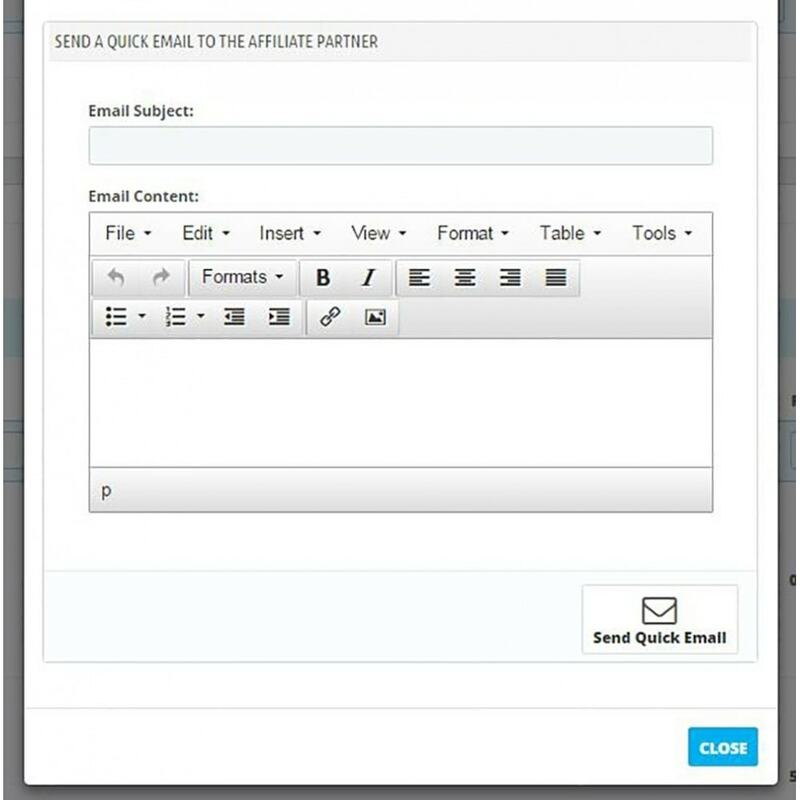 *Customer is easily notified about most updates by Admin Notes and Email notifications. 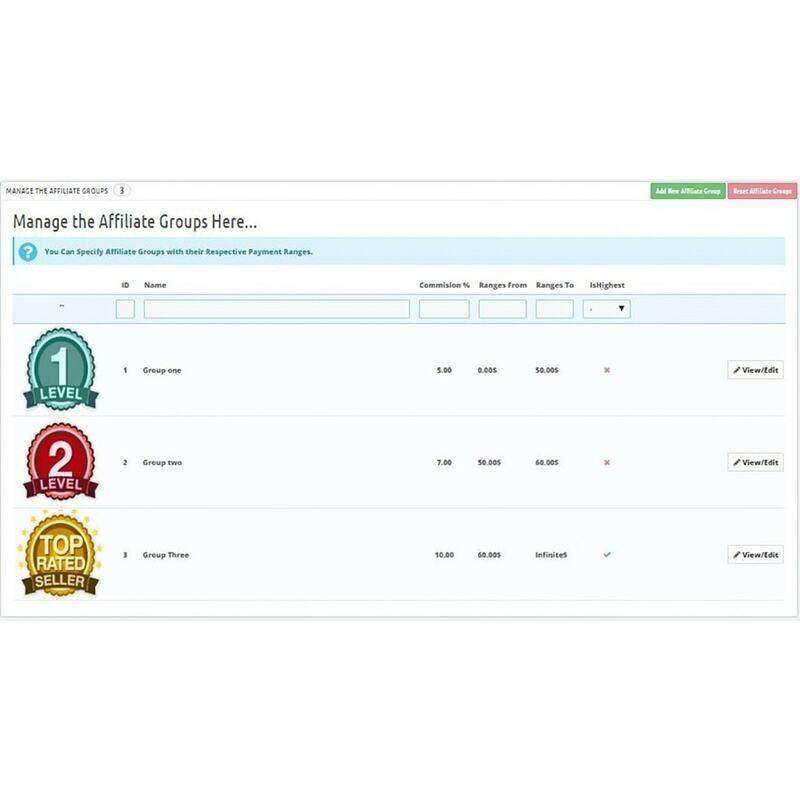 JoeAffiliateMarketingPro is one of its kind as no other module offers such powerful features at this price tag. This module is updated based on customer feedback and tried to be updated to work with the latest PrestaShop Versions. The module main purpose is to increase store keepers sales and revenue using techniques from Great stores like Amazon and others! Please refer to the included readme documentation for detailed installation, setup and usage instructions. Go to your PrestaShop Dashboard and under Modules click the Add a new Module button. Click Choose a file and select the module's zip and then click on the Upload this module button. 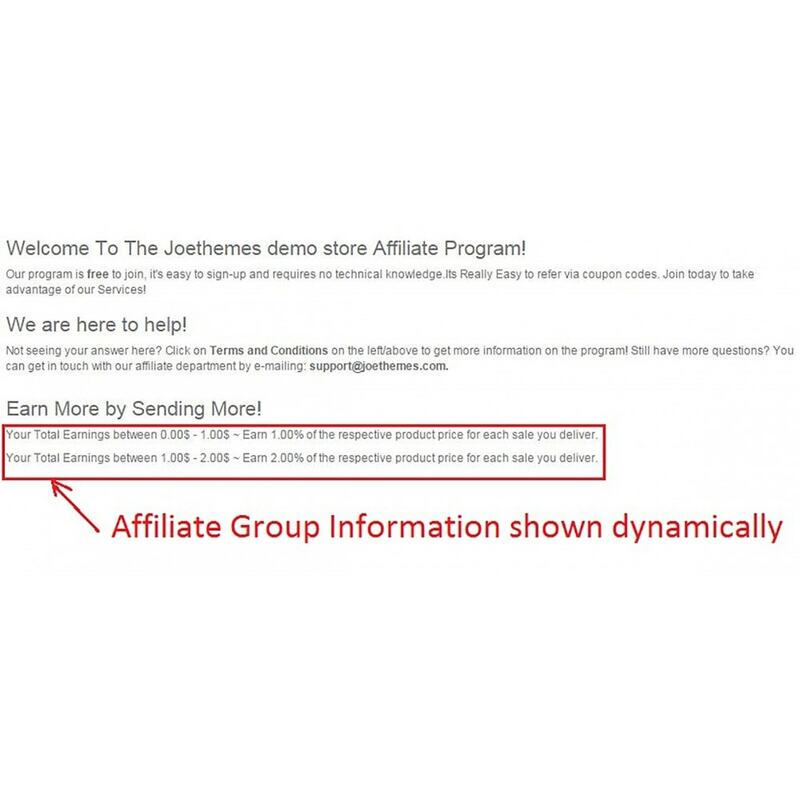 Locate the JoeAffiliateMarketingPro module by Joethemes the Modules List and click on the Install button. HOW TO TRANSLATE THE TEXT IN THE FRONT OFFICE? We have updated the module.You should now be able to translate the text under your admin panel Localization>Translations.Attached is the updated module that supports Translations. Choose the language you want to translate the module into. The destination language must already be installed to enable translation in it. The page that loads displays all the strings for all the currently-installed modules. Modules that have all their strings already translated have their field set closed, whereas if at least one string is missing in a module's translation, its field set is expanded.In order to translate your module's strings (the ones that were "marked" using the l() method), simply find your module in the list (use the browser's in-page search), and fill the empty fields. Once all strings for your module are correctly translated, click on either the "Save and stay" button or the "Save" button at the bottom of your list of strings. Increase your Product Sales by easily creating informative blog articles on your store! This module will help you boost your sales & help you communicate with your casual visitors.